Seattle Culinary Academy is committed to your success! Here are some of the resources available on our campus to support you on your academic journey. Not yet enrolled? Seattle Central’s Academic Advising can help get you started. You can also contact our Outreach Coordinator, Aimee LePage, at 206.753.7813 or Aimee.LePage@seattlecolleges.edu, to schedule a tour or to learn about program and enrollment information. Already a student?  Students enrolled in the Culinary Arts program can contact your Seattle Central College counselor. Submit a copy of a current food handlers permit to the Seattle Culinary Academy office, room 2BE2120, by the first Friday of the quarter. If you do not have a current food handlers permit you can take the class online at kingcounty.gov. Are you looking for a position in the restaurant and hospitality industry? Thanks to our excellent local reputation, students like yourself are often recruited by local restaurants, hotels and catering operations while continuing to attend classes and most graduates of Seattle Culinary Academy are able to secure a job before they've even finished their degree or certification. Seattle Culinary Academy staff and faculty share exciting opportunities and exclusive openings with students enrolled in the program. Seattle Central’s Career Services Center also provides you with information, workshops and other services that can help you land your dream job. Be sure to also check out the resources available on Career Hub, which can help you with your transition from school to career.